Living Area 2257 Sq. ft.
Beautiful Historic Lincoln Terrace minutes from the Medical district, Downtown, Bicktown & the Capital. 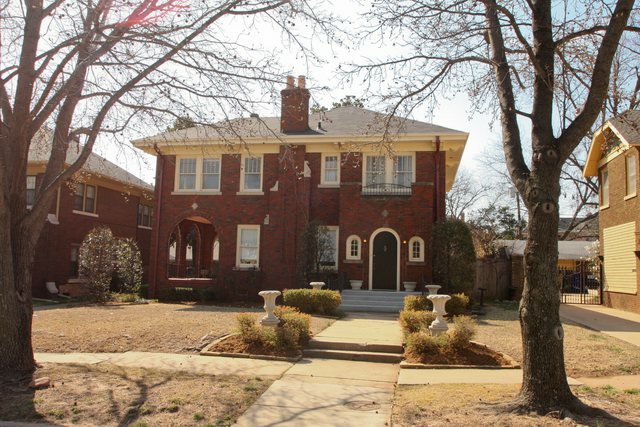 You will fall in love w/ the character & charm of this older home. Spacious living & dining great for entertaining. Kitchen has been updated w/ granite, newer cabinets & stainless appliances. All bedrooms are upstairs. Master is HUGE w/ a mock fireplace & cedar closet. You will also enjoy sitting out on the covered porch right off the living room.